In the past couple of weeks, Second Grade has been studying the continent of Asia! Since there are many countries, 1st and 2nd grade collaborated and came up with a research project! Each student chose one Asian country they wanted to learn about. 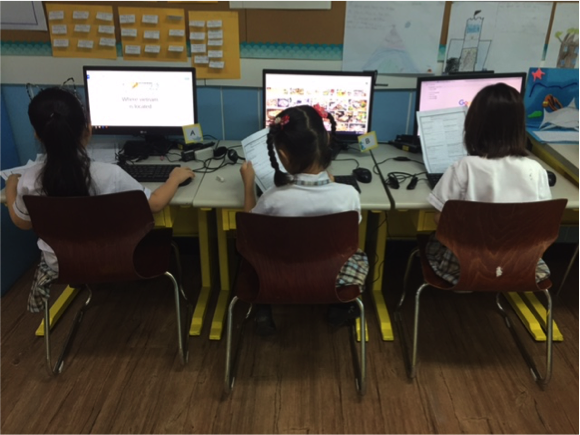 They researched about the country at home, and then created a google doc in school. They researched the location, weather, holidays and traditions, places to see, traditional foods, and landforms in the country. This google doc contains pictures, maps, and their research! The students have to organize and type their research on their google doc, and then find images to match on the search engine. They have been learning how to use a search engine to find information, how to use google docs, and how to resize images and their fonts. When the students are finished, they will use their images and writing from their google doc to design a poster! The students are able to express their creativity and organization through technology. The students have been working very diligently and independently! Start looking for these posters in the hall!